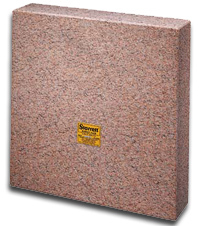 Starrett Tru-Stone Granite Surface Plates and Accessories are on Sale at Gaging.com! The world's largest manufacturer of custom precision machine bases, granite surface plates, inspection plates, granite accessories & tooling, granite calibration and granite certification, Tru-Stone Technologies has been providing metrology solutions to Original Equipment Manufacturers (OEM's) for quality applications for 50 years. Successful OEM's worldwide continually turn to Tru-Stone for the proven rock solid attributes of precision granite to enhance the performance of their metrology process and inspection systems. Gaging.com is proud to offer a few of Tru-Stone's more popular granite surface plate accessories. Download the Tru-Stone.pdf catalog and contact us at 888-978-9873 or email us for a quote. We will give you excellent prices and you will generally receive an email quote within a few minutes. 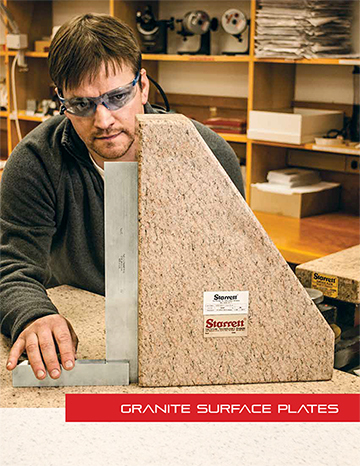 Starrett Crystal Pink Granite Surface Plates are accurate for use in metrology laboratories and wear resistant for use in abrasive shop environments. 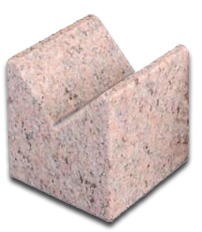 Crystal Pink is the finest, most durable granite surface plate available to industry today. The name is derived from the fact that it has the highest crystalline quartz content of any granite surface plate. Master Squares are ideal for inspecting X, Y, and Z axes of machine tools. Very stable and rigid, they provide the ultimate in squareness references. 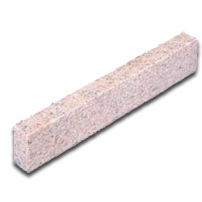 These squares have 5 finished faces, with 1 large face and 4 edges finished flat, square, and parallel in either laboratory grade (.000025" per 6") or inspection grade (.000050" per 6"). All six faces can be finished upon request. 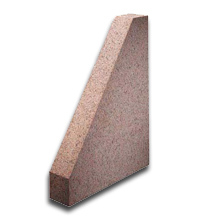 Sizes are available from 12 x 12 x 3" to 36 x 36 x 6"
These triangular shaped master angles are ideal for checking X, Y, and Z axes of machine bases or parts. They are very rigid and stable and come with either 2 or 3 finished faces. The 2-face comes with 2 perpendicular edges finished flat and square. The 3-face is the same but with one large triangular face finished flat and square to the edges. They come in either the laboratory grade (.000025" per 6") or inspection grade (.000050" per 6"). Sizes are available from 6 x 9 x 3" to 24 x 36 x 6"
Angle plates provide a convenient and practical means of clamping and holding work in a vertical position. Excellent finish and flatness make them very compatible for use with granite surface plate accuracies. They are available with either 2 or 4 finished faces. The 2- face has the bottom and adjacent square face finished flat and square to one another. The 4-face is similar to the 2 face, but also has adjacent sides finished flat, square, and parallel. The laboratory grade is .000025" per 6" and the inspection grade is .000050" per 6". Sizes are available from 4 x 4 x 4" to 12 x 12 x 12"
These precision tools can be used to elevate work above the surface of a plate so piece parts with shoulders or steps can be quickly and easily inspected among many other uses. These parallels are a matched pair and are provided with either 2 or 4 finished faces. 2-face parallels have the 2 narrow faces finished flat and parallel. The 4-face is the same as the 2-face, except the adjacent side faces are finished flat and parallel as well. They come in either the laboratory grade (.000025" per 12") or inspection grade (.000050" per 12"). 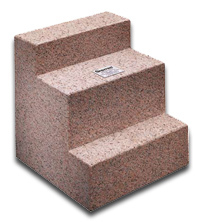 Sizes are available from .75 x 1 x 6" to 2 x 4 x 24"
Standard sizes of straight edges are available from 2 x 4 x 14" to 3 x 12 x 72"; all produced from Impala black granite. All Straight Edges come complete with a certificate of accuracy traceable to NIST. Vee-Blocks are ideal for supporting or holding cylindrical pieces during manufacturing or inspection. They are matched pairs and have 5 finished faces. 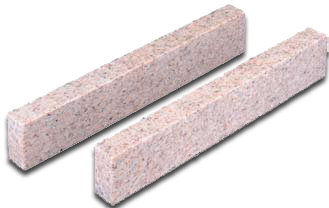 Vee-Blocks have a nominal 90 degree V, centered and parallel to bottom and two sides and square to the ends. They come in either laboratory grade (.000025" per 6") or inspection grade (.000050" per 6"). Sizes are available from 3 x 3 x 3" to 12 x 12 x 12"